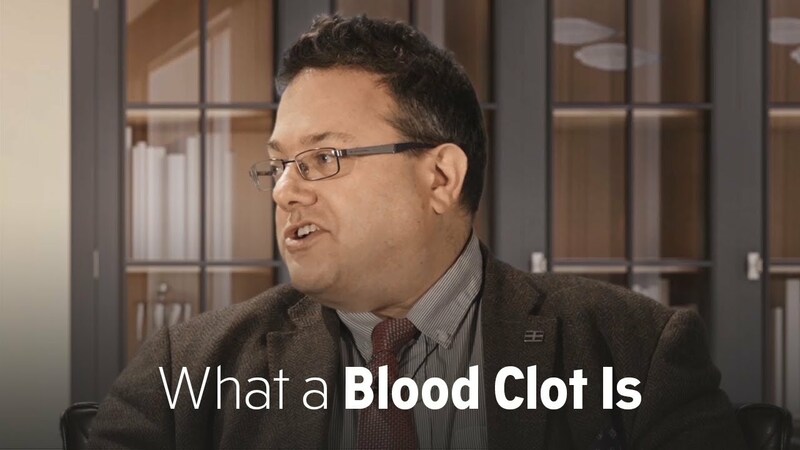 In a healthy person, a blood clot is a normal part of the healing process, explains Prof. Simon Noble, MD. If you were to cut yourself and did not have a blood clotting system, you would bleed to death. Our bodies can form a compound of blood cells and “string” called fibrin that seal off the bleeding. This is a blood clot. As good as the body is at making blood clots, it is also very good at reabsorbing them — which makes sense, because otherwise we would all be big, walking clots. Sometimes this balance of making a blood clot and reabsorbing it gets messed up. There are also certain things that can make the blood more sticky and more likely to develop a clot — such as cancer.